The National Accountability Bureau (NAB) has recently accepted the voluntary return of Rs 442 million in a housing project case Karim Housing Project in Karachi. The decision was taken in a meeting of NAB’s executive board chaired by Admiral (retd) Fasih Bokhari. The plots were sold in three housing projects against heavy amount but not a single development project has been undertaken for 20 years. 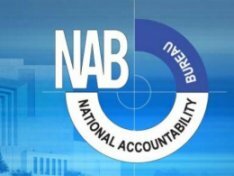 According to NAB’s spokesperson, the board has decided to refer the case to Sindh Building Control Authority and Association of Builders and Developers against Haji Adam Jokhio, managing director of the project, for taking further necessary action. The board will also demand a strict action to redress the grievances of buyers who did not get plots yet. The housing society management has cancelled the plot allotments without sending any notice to the owners but the accused had booked plots in three housing projects namely Gulshan-i-Elahi, Gulshan-i-Muhammad and Muslim City against heavy amounts. In another case, the board has accepted Habib Bank’s request to auction property of one of the accused, a senior manager, to recover loss caused by him.